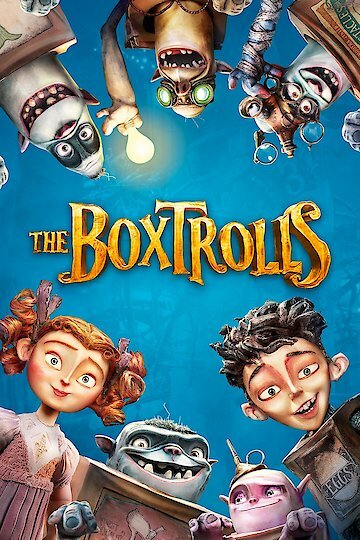 "When troubles strikes friends stack together"
The film tells the story of an orphaned boy named Eggs who was raised by underground cave-dwelling trash collectors called the Boxtrolls. The Boxtrolls are targeted by an evil exterminator named Archibald Snatcher, and Eggs has to save his friends from that evil exterminator. The Boxtrolls is currently available to watch and stream, buy on demand at FandangoNow, YouTube VOD online.